It’s not clear how rigorous these classifications are – what, for example, is the difference between commercial and industrial? – so in most of our analysis we have grouped together the last three as ‘non-domestic’. However this page looks at all four categories. 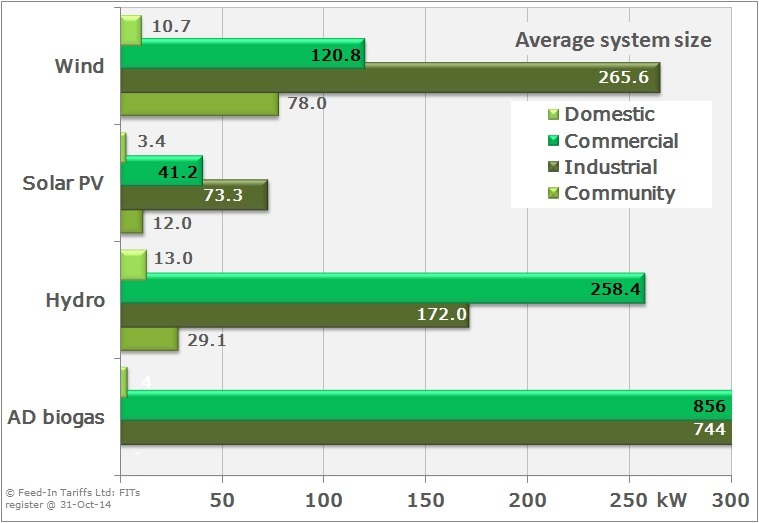 This graph allocates the capacity of each energy technology by user type. 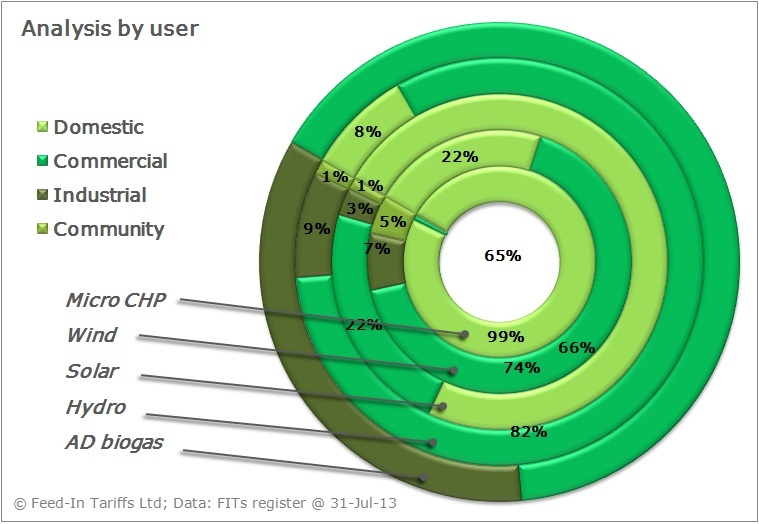 It shows that all of the AD capacity has been registered by industrial users. Unsurprisingly almost all of the micro-CHP (which is limited to 2kW), is for domestic users. An interesting factor is the small but growing contribution of community renewables.